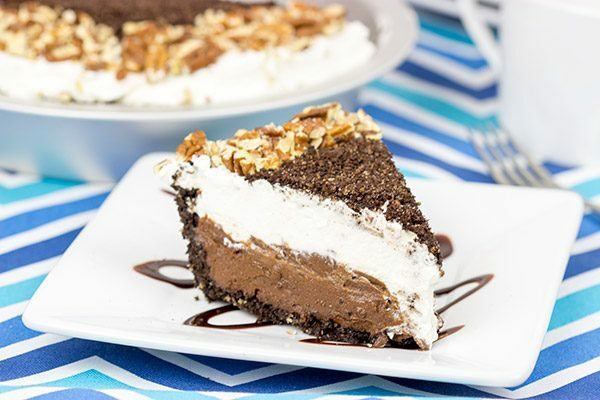 This Mocha Mississippi Mud Pie features a chocolate-pecan crust filled with a decadent mocha chocolate pudding. Add some whipped cream, and you’ve got the perfect summer dessert! Today’s post totally falls into that latter category. 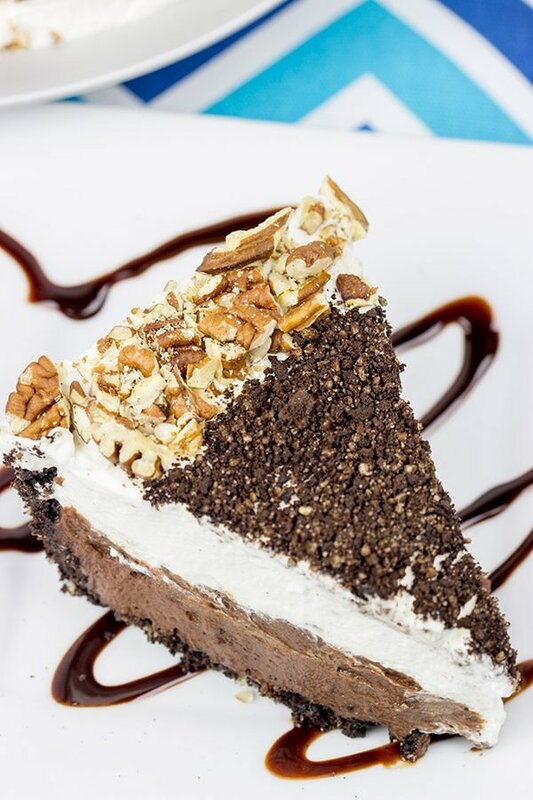 There are no ancient word origins for Mocha Mississippi Mud Pie. Nope, instead this delicious pie supposedly gets its name because it resembles the Mississippi River. But here’s the thing: the banks of the Mississippi River do not look tasty. I lived several miles from the mighty Mississippi when I was in Baton Rouge. Then a couple of years later, my wife and I sat on the banks of the Mississippi in New Orleans eating muffaletta sandwiches. The Mississippi River is a lot of things, but delicious is not one of them. Someone did a great injustice to the Mississippi Mud Pie when they named it after the mud at the bottom of a river. C’mon, people! 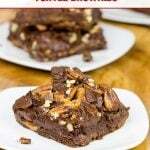 Place the Oreo cookies, pecans and sugar in a food processor or mini-chopper. Pulse until finely ground. Transfer mixture into a large bowl. Remove 3 Tbsp of mixture and set aside to use as topping later. Stir the melted butter into the remaining mixture and then press into bottom and sides of 9” pie pan. Remove pan from oven and set aside to cool. Using a medium saucepan, whisk together the sugar, cocoa powder, cornstarch and salt until well combined. Add egg yolks, milk and coffee; whisk together until well combined. Add butter, chocolate and vanilla; whisk together until chocolate and butter have melted and mixture is well combined. 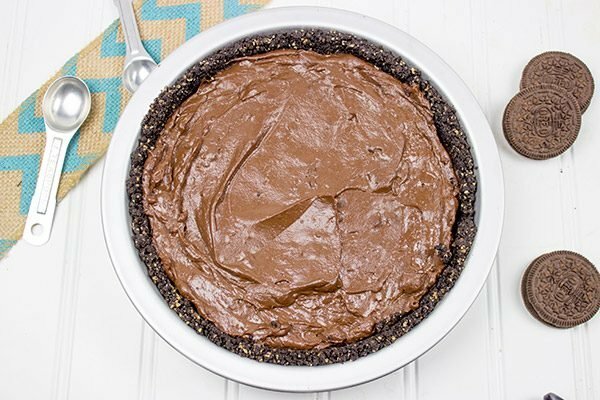 Spread Chocolate Filling into baked pie crust. Cover with plastic wrap and refrigerate at least 4 hours, or overnight. Using a countertop mixer fitted with the whisk attachment, beat the heavy cream, powdered sugar and vanilla together until soft peaks form. 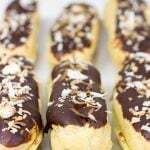 Spread the Whipped Cream Topping evenly over the cooled Chocolate Filling. Spread the chopped pecans (for the garnish) onto a small baking sheet. Bake at 350°F for 5-6 minutes. Sprinkle the chopped pecans and 3 Tbsp of reserved crumbled crust mixture over the top of the pie. Drizzle with chocolate sauce before serving (optional). Hahaha – I couldn’t agree more with ya – the banks of the Mississippi River or any river for that matter – don’t look appetizing at all! But as for this – duuuuude – have mercy! This is just eyeball popping, screen licking, good! I must say, that crust with pecans mixed in is incredibly intriguing. I love my desserts and you have incredible self control indeed to wait 4+ hours to dig into this! Happy Tuesday, David – hope your week is off to a GREAT start! Hahaha…screen lickin’ good! I like that, Shashi. 🙂 And I’d much rather lick this pie than the banks of a muddy river. My week is indeed off to an awesome start because we are off visiting friends still from the long weekend. But the vacation ends today…so I might need a slice of this pie to help me get back to work tomorrow morning! Well that’s just a darn shame that such a delicious and beautiful pie is named after a muddy river. I also had no idea that you used to be a Latin teacher – so wow to that! Even though the Mississippi isn’t all that appetizing, I think it’s cool that y’all sat on the bank and ate muffalettas! Too bad you didn’t have this pie with you too! I’m loving all the pecan action you have going on in here! And make ahead is a win in my book! I’m not a big fan of mud pies but yours sure looks delicious. With all those pecans I could never say no! I’m clearly going to have to start having Latin lessons for the Wolfpack. I’ll have you conjugating verbs and declining nouns in no time, Alpha! Thank you for clarfying that is more pudding than a cake….When I first sampled it a few years back, I made a mess with the fork thinking it was some dense cake! I’m glad it’s namely origins does not correlate with the actual pie- I wouldn’t fancy eating that. This looks amazing mate- The kind of pie you’d overeat because it’s like a mousse like pudding! You are totally right, Arman! There is nothing cake-related here. It’s all about a chilled pie that is perfect for summer days. Of course, chocolate makes everything better, too! Thank you so much, Christina! I have to admit that this pie didn’t last very long around our house. But that just means I need to make another one now, right?? wow I didn’t know you were a teacher, that’s so cool!! 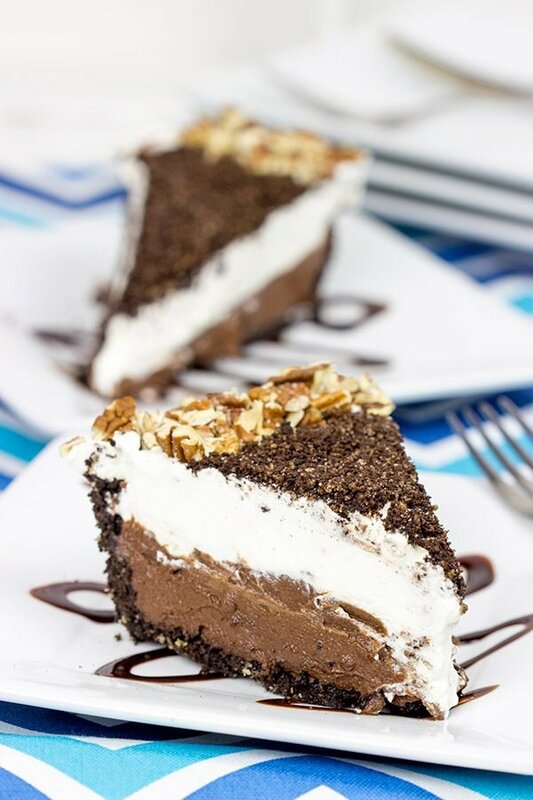 The mud pie looks amazing, look at all the things in there! Mmmmmmmmmmmmmmm!! I did indeed teach Latin for a while, Manali! I actually loved it, but I’m also glad I stumbled into the world of food blogging. The only problem is waiting long enough to take pictures after I make desserts now…haha! Don’t be embarrassed about the fact of licking some filling from the spatula, David! Indeed, it’s the quintessential step in any baking. You’ve got to guarantee the quality of your cake, right? So that’s the only one way to determine is it good enough to be served. If not, you have to be suffering by eating all the cake on you own since you can’t serve something imperfect! Love you historical and linguistical excurse – this always saunds fascinating to me! The only thing that fascinates me more is this amazing pie. You just put in it everything I love! Great job! I know! The weekend feast was indeed amazing, Dorothy. Why can’t we have 3-day weekends every weekend?? But now that summer has unofficially kicked off, we need delicious treats…and mud pies certainly fall into that category. I hope you had an awesome holiday weekend down there in TN! 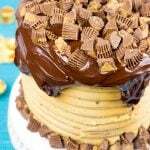 David, this mocha Mississippi mud pie is calling my name!!! love!!!! and I had never even heard of Fat Daddio’s bakeware until recently. . but I hear it’s pretty darn good!!! Yes! Fat Daddio’s is really awesome bakeware. I totally recommend grabbing some! I also recommend grabbing a slice of pie…because everything is better with pie, right? Haha, food origins have always baffled me, and you’re totally right about the banks of the Mississippi…not appetizing! When folks say “everything but the kitchen sink cookies,” I’m just like UH. That could be so many things that I don’t even want to think about…but that being said, this pie looks phenomenal. Whoo! Bookmarking this! Do you mind if I take the whole pie for myself? No? K, thx! 🙂 Also, cool thing that you used to be a Latin teacher. My first language is Portuguese! Oh my. 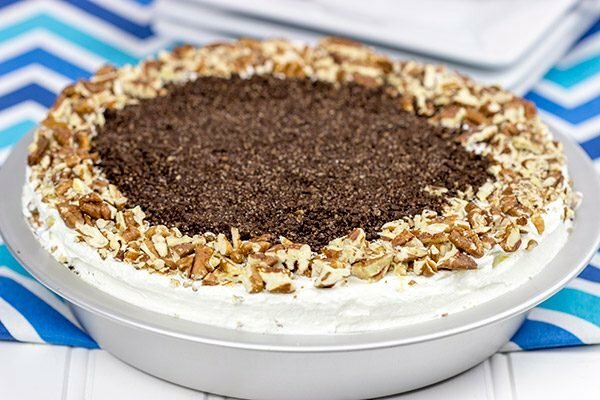 That chocolate pecan crust! Mississippi mud pie isn’t really a big things over here, but I have no idea why. Look how amazing it is! David, this pie looks so delicious! I have only tried mud-pie once in my life and loved the taste. But never ever dared to make one at home 🙂 Looking at your recipe, now I think, I will, soon!! thanks for sharing! If I were an ant… I would totally jump head first into that… Sure I would die, but it would be the BEST WAY TO GO… EVER!! Surprisingly, I have never had Mississippi Mud Pie before. I think it’s because I’m not really a chocoholic. I like chocolate, but I am by no means an addict. However, I will make an exception with this pie if you freeze it and ship it to me. Just a thought. LOL! You’re the only one who commented on my little biscuit fact, Tamara! But then again, I would expect nothing less from a fellow southern baker! 🙂 If you will make an exception for this pie, then I’ll shove a slice in an envelope…just for you! Haha!